For most people, purchasing real estate is the biggest transaction you will make in your lifetime, a transaction backed by hours of consideration and research. We have compiled some benefits of Townhouse Living to assist you in the decision making and buying processes. Townhouse living has many advantages, perhaps the most noteworthy one is enjoying the luxuries of a single family home without the price tag. What is at the top of your search criteria? ie 3+ bedrooms, spacious laundry, double garage, storage, patio/deck, a private yard? You can tick all of these must-haves off your list with a townhouse. In addition to a lower asking price, utility bills are lowered with shared walls & new construction ensuring heat loss is at a minimum. More money in your pocket for decorating or entertaining! Spend time enjoying your surroundings, not maintaining them! The strata organization in a townhouse community is responsible for the upkeep of internal roads, parking lots, garbage and snow removal, gardens/landscaping and exterior building maintenance. Are you a world traveller or work out of town regularly? Townhouse communities are very secure, being well lit at night and having neighbours close by gives you peace of mind allowing you to live the lock-and-leave lifestyle. Enjoy the convenience of an attached private car garage ideal for unloading groceries, luggage and sports equipment. Whether it be an intimate collection or master planned townhouse community you can be sure you’ll enjoy the community feel and share the same love for your home with like-minded neighbours in the pristinely manicured gardens. Other amenities within townhouse communities might include parks, sitting areas, playgrounds and walking/bike paths. The townhouse lifestyle is not limited to just one buyer group, suitable for young families on a budget, professionals looking for the next step up, empty nesters not ready to completely downsize and retirees alike. 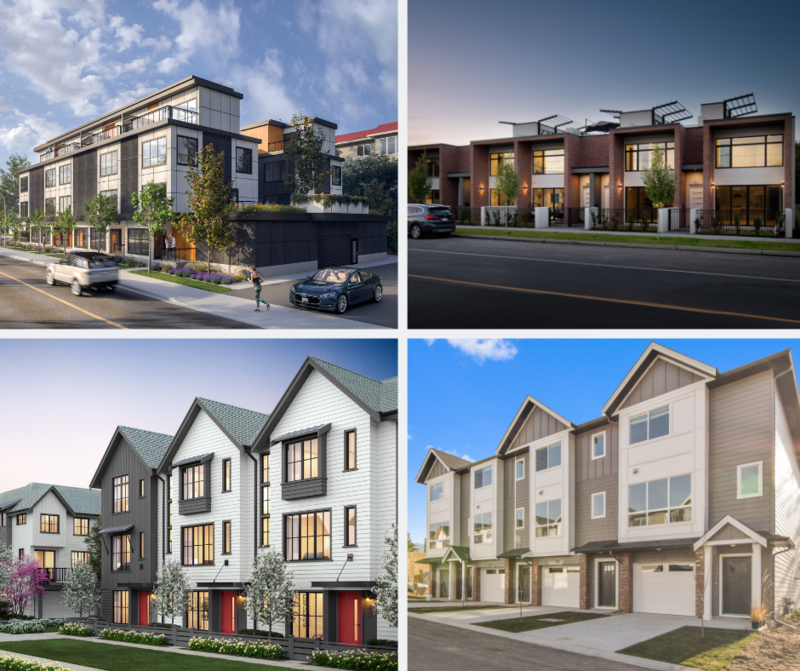 If you are on the hunt for your next real estate purchase and you think a townhouse is for you, check out our Townhouse developments -we have something to suit every buyer and budget.